I guess I’m making this into a regular thing. So the episode started with Zoey doing her little monologue on geniuses and what it meant to be one. There’s all this news about some mystery artist dropping an album and Aaron decides to throw a kickback for it. This mystery drop leads the group into a discussion on what makes someone a genius. Nomi tells Zoey that she’s not a genius but Luca is. Zoey ends up feeling really insecure about this, especially since she’s currently struggling with her design class. The squad is hanging out at Zoey’s apartment for the pre-game. Jazz starts throwing major shade at Zoey, so they step outside for a minute. Zoey asks if Jazz is still heated over what happened on the last episode with the group chat drama. Jazz gets pretty fake about it, making it seem like Zoey’s the one overreacting. Then, Jazz has the audacity to spit her gum out into Zoey’s drink. If she tried that petty ish with me, I would’ve told her to leave. But, Zoey being Zoey, just tries to act like nothing happened. Vivek was being super buddy buddy with Doug at the kick-back in Hawkins. I really want Vivek to get a real storyline at some point in this season. I feel like this season is so focused on the girls’ drama, I really want to know how the guys are doing. Aaron’s a whole junior now. Does he have any plans for his future? Is he pursuing an internship? I want to know more about that, not group chats. Anywho, Zoey starts getting heated with the genius discussion. They’re trying to figure out who the genius artist is who’s releasing this mystery album. Vivek suggest Bieber, like what? Zoey points out that the list is all dudes. They didn’t even add Beyoncé. After all of that, Zoey does that thing she did on episode one. This time, instead of talking about chips, she’s talking about Jay Z but really she’s talking about Luca. Zoey and Luca go outside and talk. Zoey opens up about her insecurities. The video drops while Zoey and Luca are outside and Zoey has a whole meltdown. She ends up going to Jazz and confronting her. It ends up taking a very different turn than what I was expecting. Jazz basically “helps” Zoey in a way. I honestly don’t understand how it happened. Zoey does some serious introspection and realizes that she hates designing. Zoey finds the inspiration for the dress design, but after that discussion, she realizes that she hates designing. She ends up dropping her class, I kid you not, through the school app. I’m not saying it’s not possible, it was just the way it happened. It made dropping a class look way too easy, especially since I’m pretty sure she’s not a full-time student anymore, but I’m hoping they acknowledge that next episode. She also might be changing her major, which I definitely get. And, at the very end, we see this video that everyone was so excited about. It was actually pretty cool. It was Leikeli47 song Tic Boom. The video will be out 24 hours after the episode’s release. I get that this show is about all the things we don’t like to talk about in college, but I’m tired of Zoey having all these super introspective moments and then doing nothing about it. She’s still hella insecure the next episode. Where is the growth? I’ll be honest, I wasn’t really feeling this episode until the very end. I legit was asking myself why I was wasting my time. I couldn’t even think of things to tweet about (I live-tweet every episode) which is saying something. But I gotta say, it (almost) redeemed itself. I feel like this episode had no real substance. It was a whole lot of fluff. It felt kind of drab and like nothing was happening for the first half of it. I totally get where Zoey’s coming from with dropping that class. I just changed my major last semester and I’m still not sure about what I want to do with my life. That was the point when the episode felt like it came back to reality for me. What do you think Zoey’s going to do next? How do you feel about the video release? 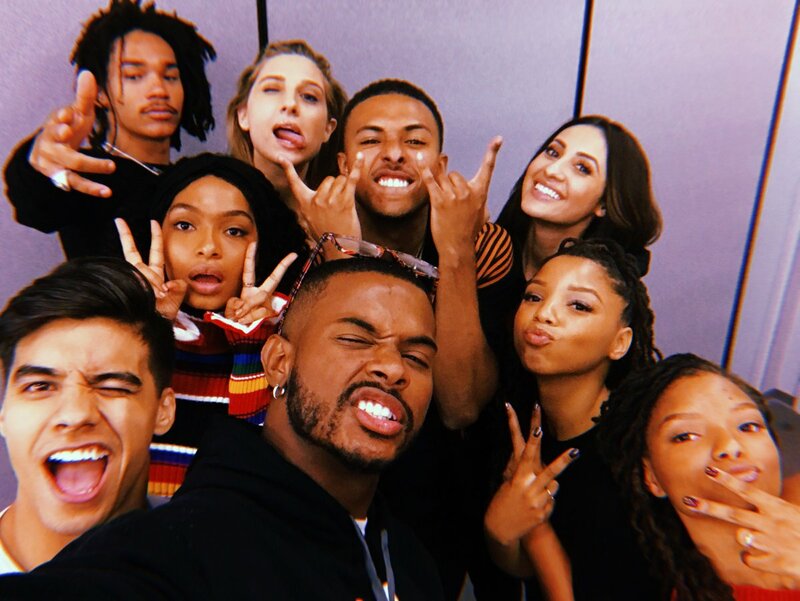 Do you like the direction Grownish is taking? What are some other shows I should do recaps on? 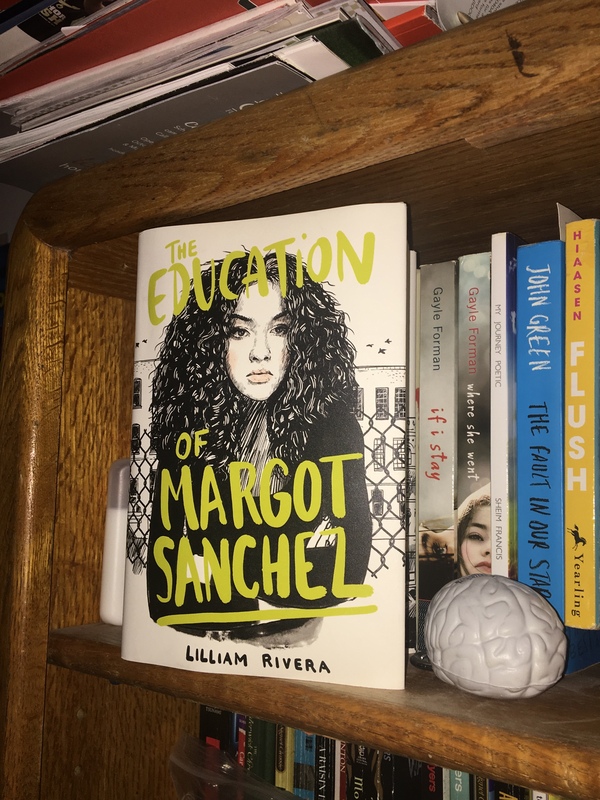 The Educated Negra • This entry was posted in Show Review and tagged Blogger, College, Diversity, Entertainment, Grownish, Recommendations, Representation, TV. Bookmark the permalink. 1.) I thought this episode was a bit slower and more anticlimactic than the others, yes; however, I do think it is going to lead to something very important, the fact that Zoey switched her major. I’m very curious to see what she’s going to have a passion for. Jazz was super irritating this episode. I absolutely hated their conversation. I wish Zoey would have went off on her some more and Jazz would have realized how silly she was being and apologize for it. But for whatever reason, they choose Jazz to be the one to help Zoey realize that she didn’t like design. First of all, the conversation had NOTHING to do with that in the beginning. What the heck? Jazz needs to be checked. I do like the message of finding what makes you passionate and makes you want to do it even if sometimes it’s hard. I think many people struggle with this. I also like the message of insecurity. I really get that. When I was in school I was a straight A student. And people used that against me (even if they didn’t see that they did).I was stressed trying to be perfect because “I’m too smart to make dumb decisions.” It can be overwhelming when people are constantly making you seem good and then one day you’re just not so good at something and they have the audacity to be frustrated with you or make fun of you. 2.) I think Zoey is going to find her major. As you said, though, I wish she would grow a backbone. She complains a lot, but doesn’t really do anything to fix it. And she’s a people pleaser. I hope she starts to take charge of situations. Hopefully she finds a cool major before this season is over. 3.) It was fine. It was a music video. 4.) I like how they address certain issues, but the characters are too petty. And her friends can be kind of fake. The best one is Ana. Nomi is always kissing up to someone, Jazz is petty, and Sky follows what Jazz does (has no direction for herself). I also want to learn more about Vivek. I’d like for him to discuss his major or get a girlfriend… something. I always liked his character, but I do wish he had more depth. Luca is basic. 5.) Do Riverdale recaps please! If you watch it. I totally agree with your first point. I don’t get why Jazz had to be the one to help Zoey realize it but I definitely understood Zoey’s struggle. I’ve always been book smart so changing my major was difficult, but necessary this semester for me. Zoey is definitely a people pleaser. I’ve been there, done that, and it never ends well. She needs to definitely stand up for herself and stop worrying about what people think of her. I want Sky and Vivek to get more dialogue. They only utter three lines an episode and I’m not with it. I really want to hear more about their struggles and I want to see if Vivek ends up with those rich dudes again. I haven’t watched Riverdale before but I could try giving it a chance once school starts to chill out. I feel the same way! That was so unwarranted and completely disrespectful. Her and Sky would have been kicked out for that foolishness.